Appearance (0-20): The whole initial impression is good. The wrapper is a smooth corojo, that boasts many small veins with one larger vein. The wrapper is right in the middle of the road at a medium brown, and is somewhat dry to the touch. The two cigar bands, one on the foot, give it a more elegant look. Gold and dark blue hues give off a more majestic feel, and really add some character. Construction (0-20): From start to finish, the burn was even and smooth. The ash is a light gray/white color, and held on for about 1.25 inches at a time. The draw was just right, and gave off ample amounts of smoke. There were no issues with the one larger vein that was present, and no soft spots were encountered. Strength (0-20): This stick is coined as a full bodied smoke. While there is quite a bit of spiciness in the beginning of the cigar, it doesn’t translate into pure strength. I would put this close to the medium to med-full category. Flavor (0-20): Right off the bat, there is quite a bit of spice. The spice stands alone for the first ½ inch, then moves into a leathery flavor. You will get small hints of spice as you smoke down, and it will ramp back up near the end. Leather and woodiness pretty much sum up this cigar, with bits of spice. 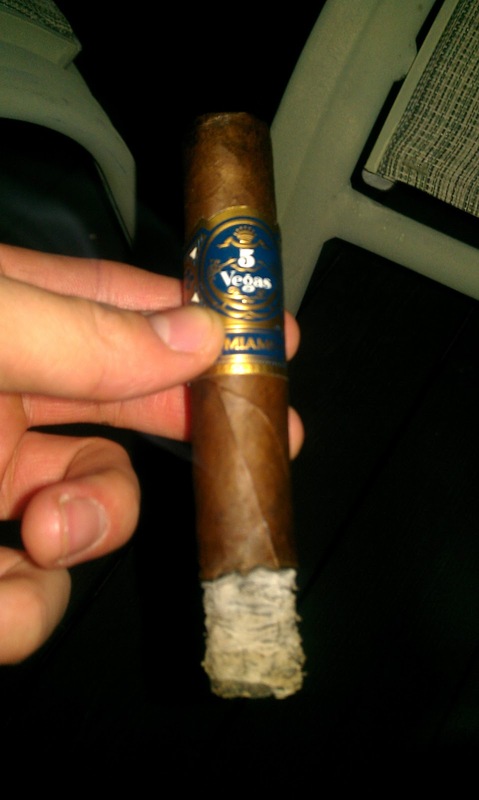 Value (0-20): For a $5 to $6 smoke, depending on the vitola, I think this is a quality smoke. 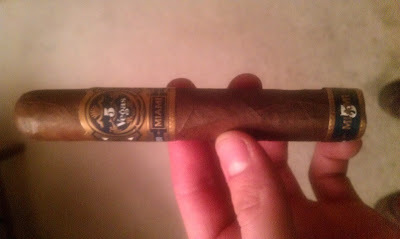 All of the 5 Vegas line seems to hover around those price points, and this is one of the better smokes I believe. Definitely a repeat purchase. Additional Notes: Smoked on the deck, paired with iced tea. Overall (0-100): Overall, this was a good smoke. I was very pleased with the initial spice, and wish that it might have stuck around a little bit longer. Needless to say, 5 Vegas did a good job and priced this one competitively. I would pick this one up again and recommend to another fellow smoker.